Two outstanding bands playing powerfull antifascist oi are united on this live split. 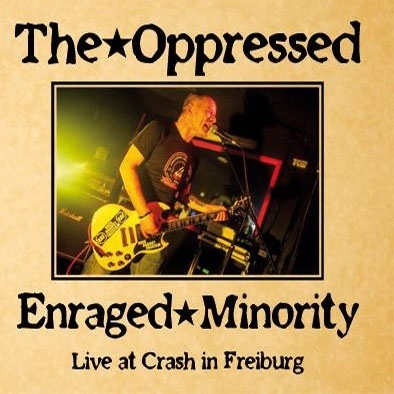 This record containing 7 songs of the legendary Oppressed as well as 7 partially new songs of their by now well known mates of Enraged Minority. Not only the magnificient sound quality by live standards makes this album a must-have, the vinyl version is strictly limited of 500 units and also item of interest for collectors. here you go.